I’m very happy to be done with writing out my resolutions. 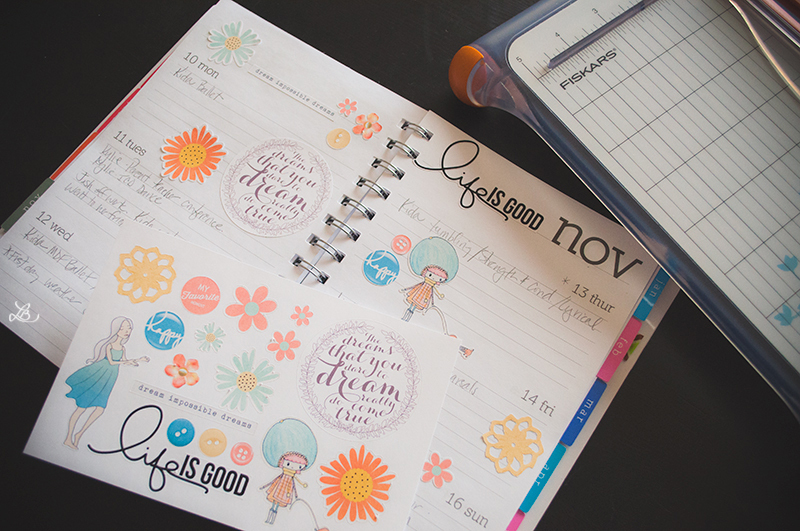 Now I just need to buy a new 3-ring binder for my 2015 Project Life. I looked at Micheal’s collection of binders a week ago and almost bought one for 40% off but decided to wait. 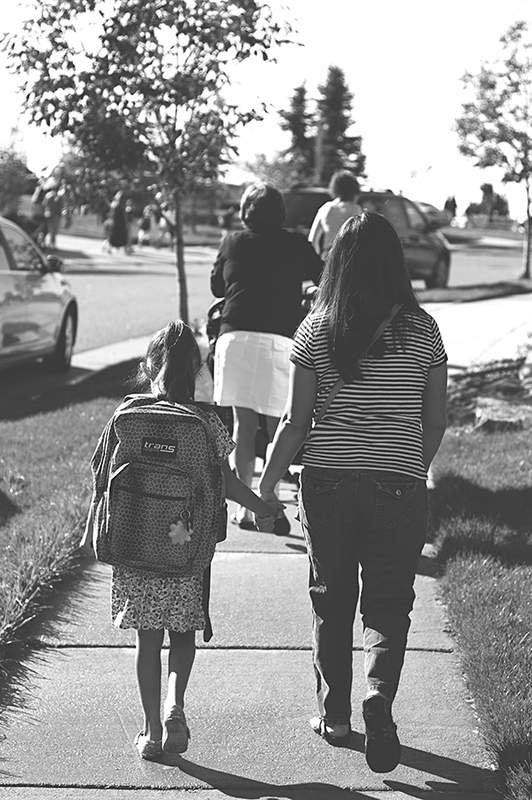 I’m going to go back and get that binder because I keep thinking about it. This year I’m changing from solid color binders to something flowery and colorful. 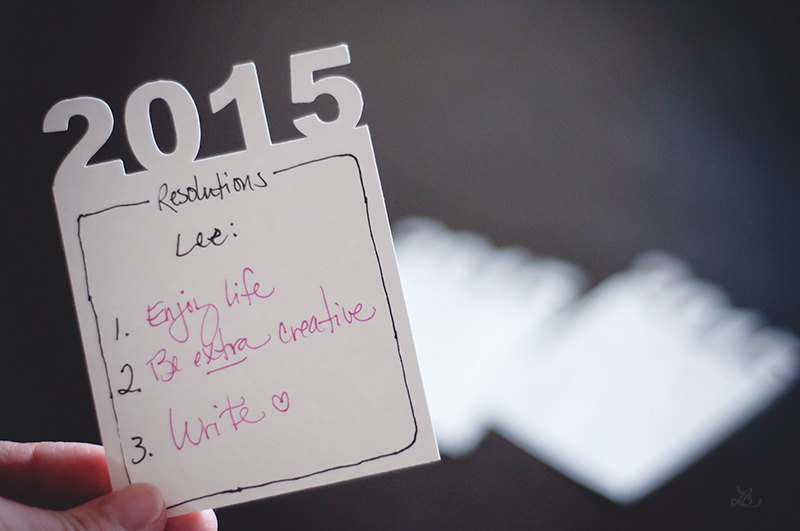 For my first page of the year, I made this 3×4 journal card to write resolutions on. 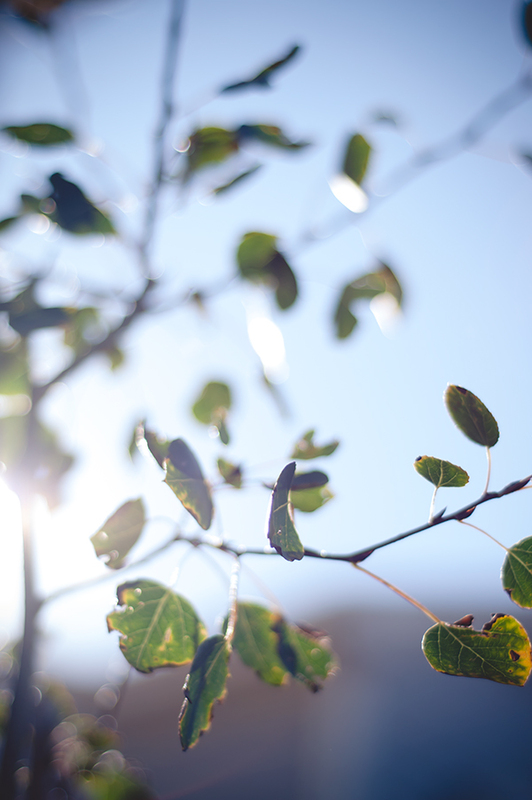 I decided to share the file so that you can also write resolutions or do something creative with it. 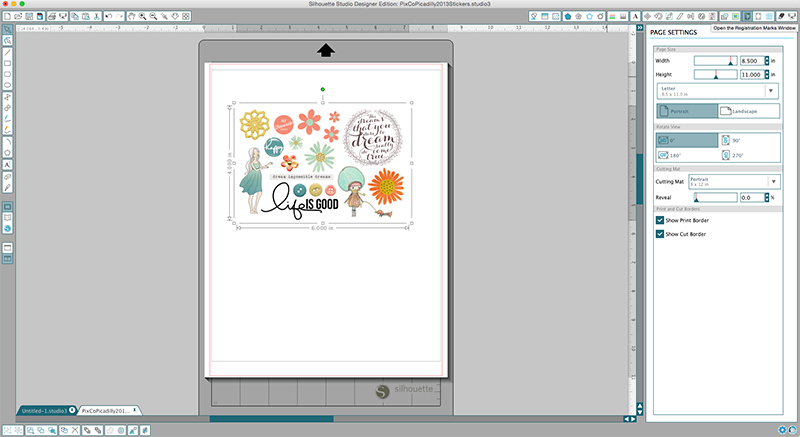 The download comes with a PNG 3×4 journal card and a SVG cut file which will look like the image above minus the writing. To download, click HERE, or the image below. 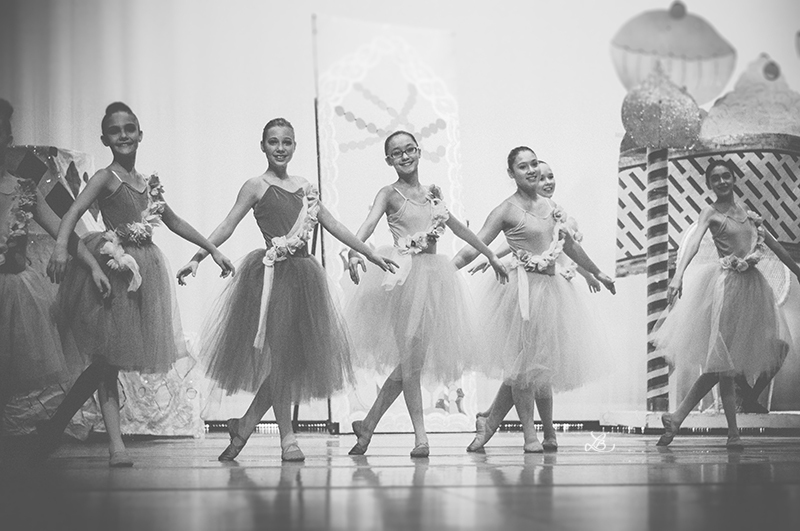 Both girls danced in The Nutcracker, a musical presented by their dance school, last week. They were amazing as always! Oldest daughter was a flower girl (black and white photo). She’s center in the glasses. 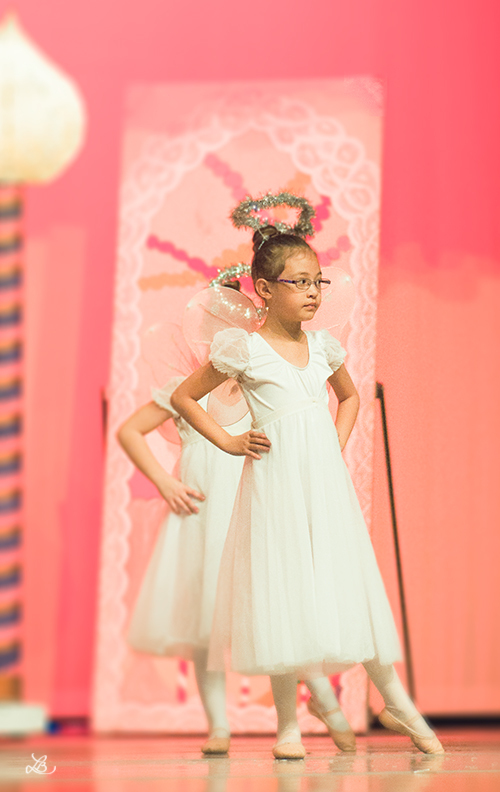 Youngest daughter as an angel (2nd photo). 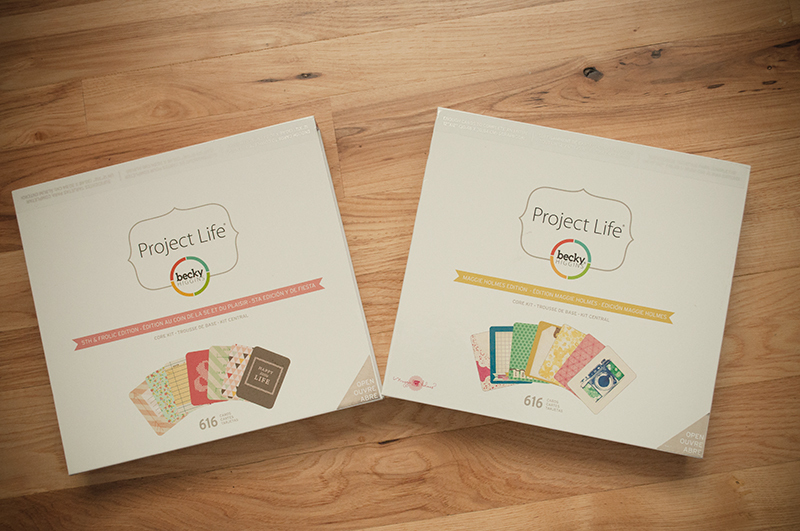 These are the Project Life layouts. 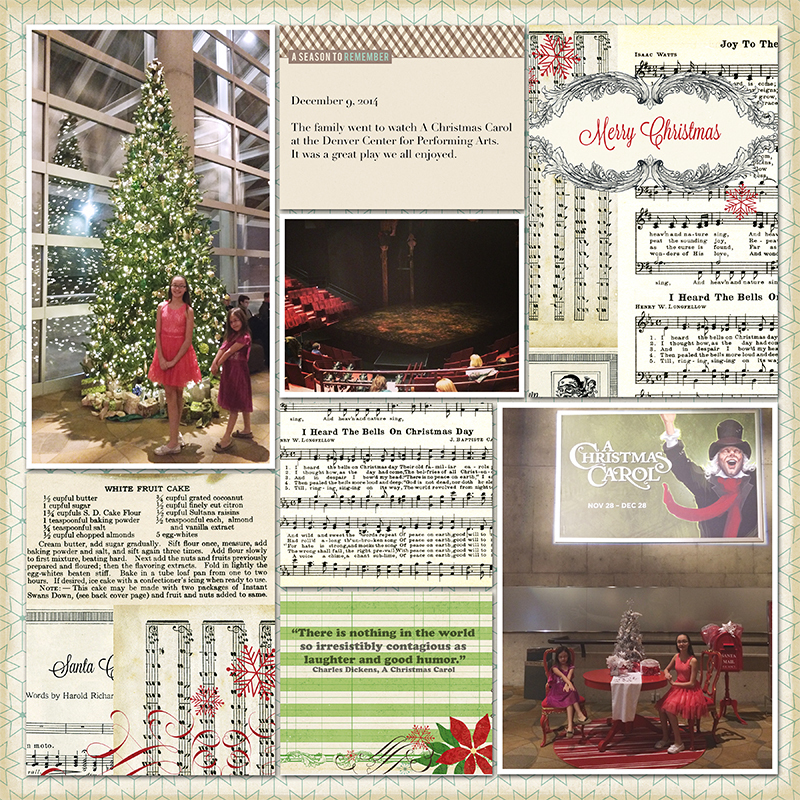 Kit used: Reflections Christmas by Lori Whitlock. When I was younger I collected sticker sheets. I still have those stickers stored somewhere in the house. I decided to make my own stickers using the Silhouette Portrait (mentioned here, here, and here.) and they turned out pretty good. 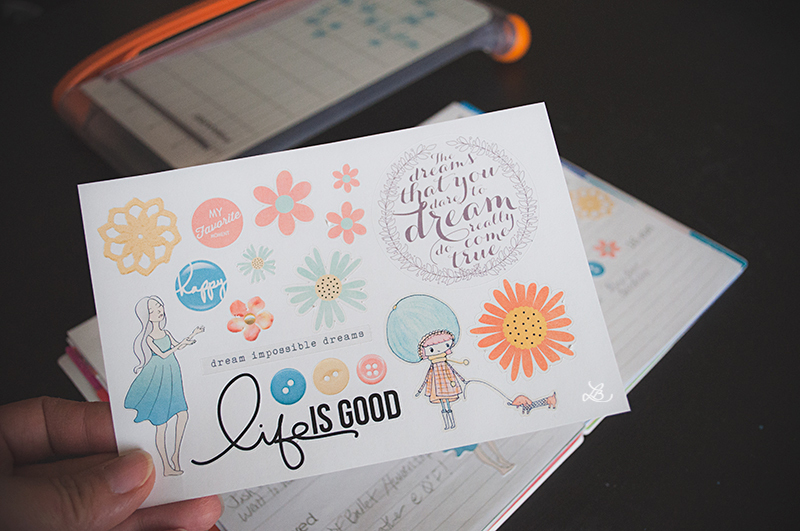 Here’s a tutorial on how I accomplished these stickers. Silhouette Portrait or Cameo machine and software. 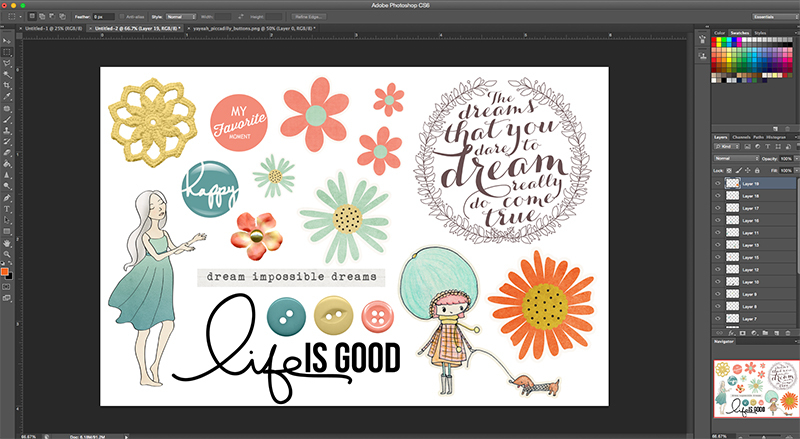 Elements from a digital scrapbooking kit or your own. 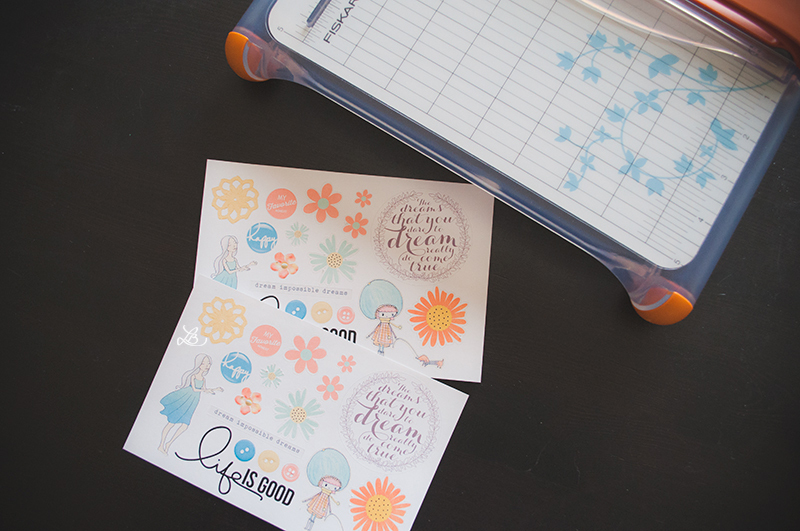 Sticker papers. 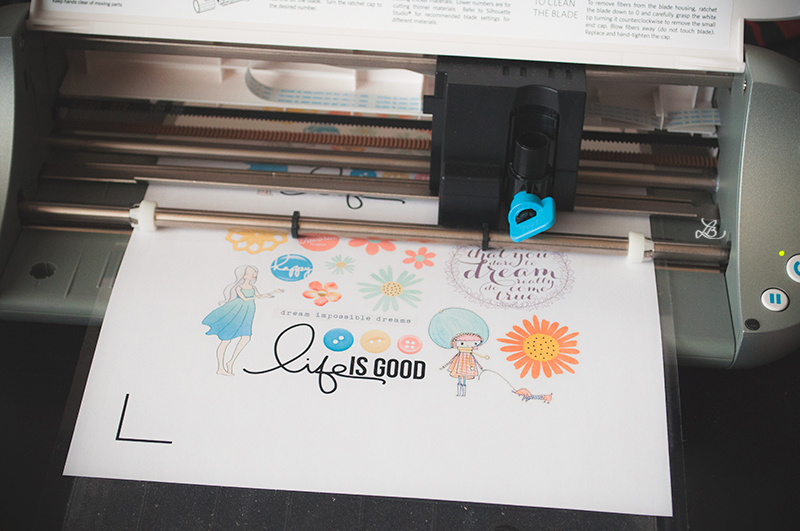 I use Avery 8.5×11 full sheet labels. 1. 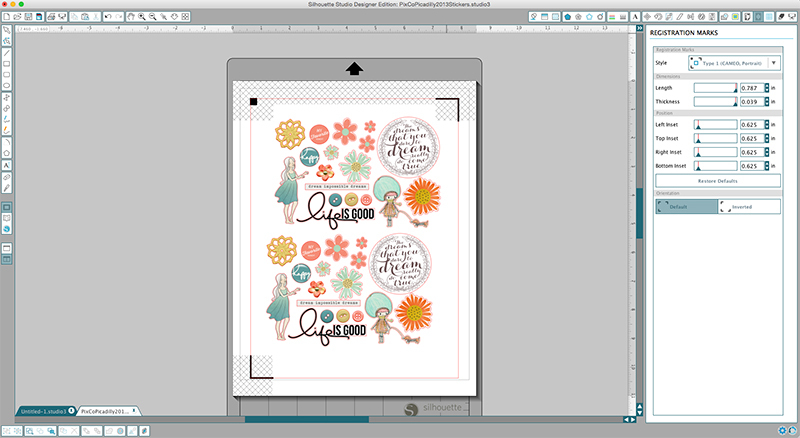 In Photoshop, create a 4×6 document (or any size of your choice) and layer elements on top. 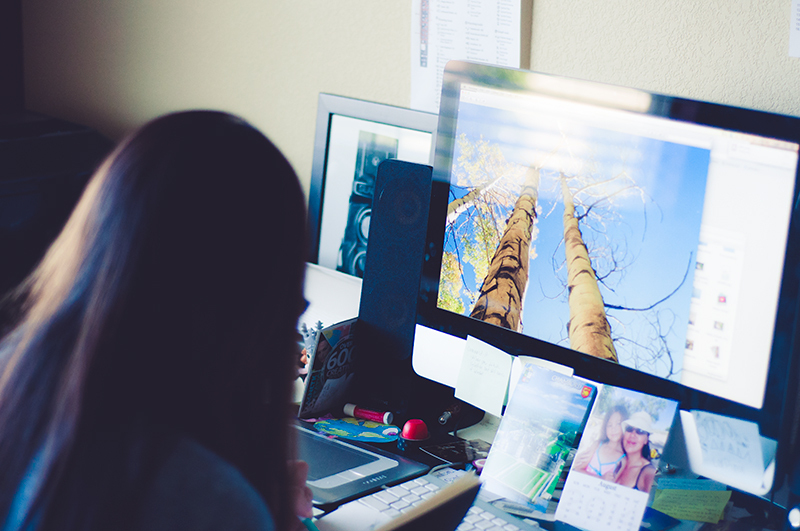 Merge the layers and save the document as a PNG file. I used the kit, Piccadilly, by the designers at Pixel’s and Co. 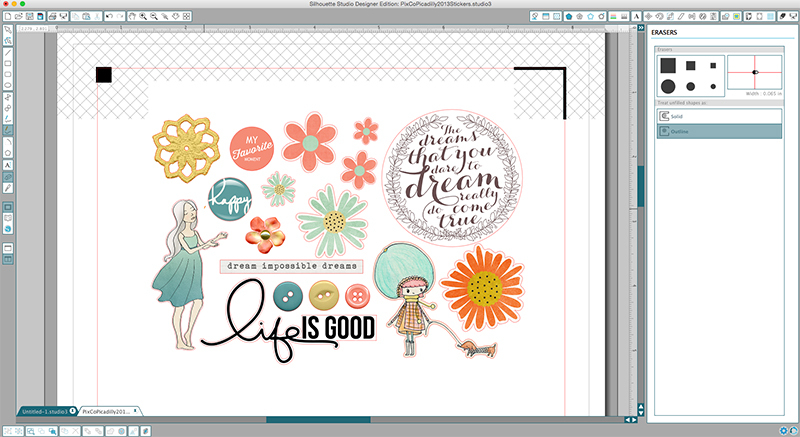 It was a free kit during Digital Scrapbooking Day (DSD) fall 2013. 2. Open the PNG file you’ve created in Silhouette. 3. I like to make sure my PNG file is aligned correctly with the registration marks so I turn that on before moving forward. I also do this in case I forget and accidentally print before putting on the marks (the marks tell the machine where to cut). 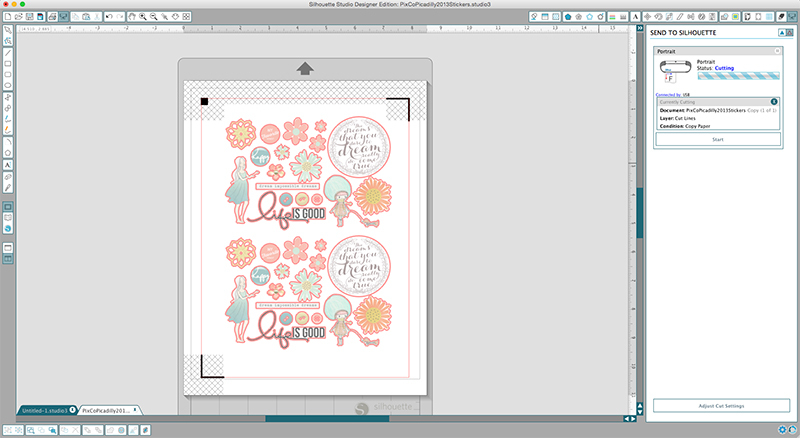 You want to select Type 1 (CAMEO, Portrait) otherwise when the cutting starts, it won’t align correctly or cut at all. 4. This is what the registration marks look like. Ignore the red lines around the elements. I had already traced the elements and went back to screen shot this image to show the registration marks. 5. Trace the elements. There are other ways to trace but I’ve found this way to be the cleanest + it gets what I want done, like creating a trace off the element so that it looks like a sticker. 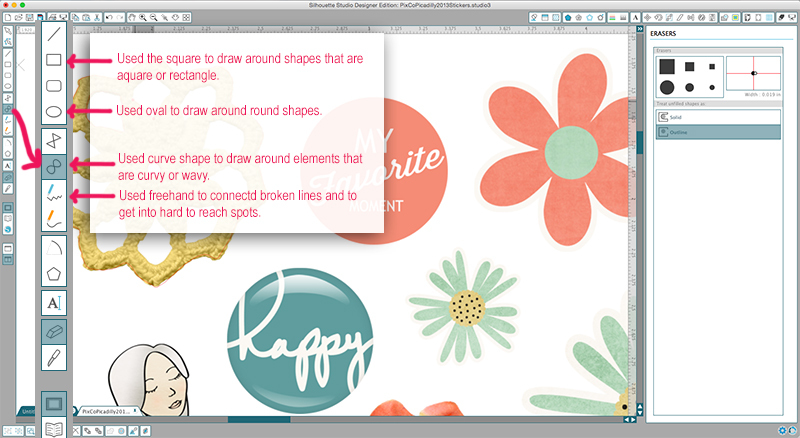 The pink text will tell you the tools I use to trace or draw. 6. Once all the elements are traced make a copy and drag the copy just below it. 8. 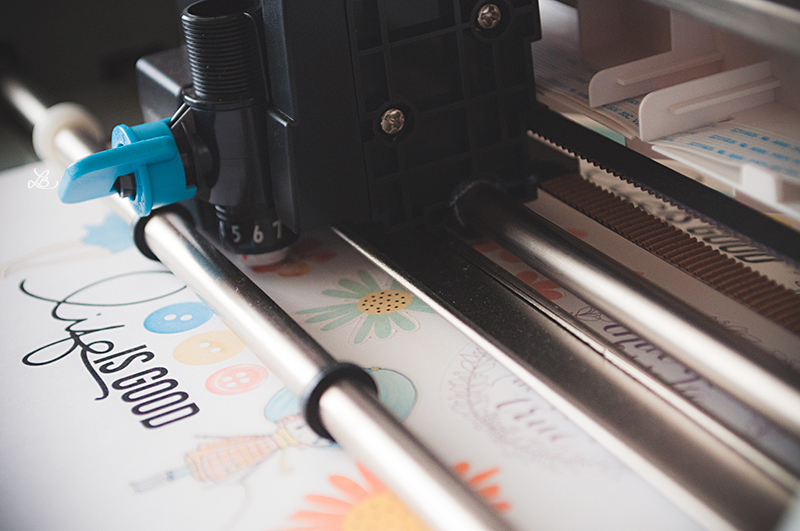 Now PRINT directly from Silhouette to your printer. 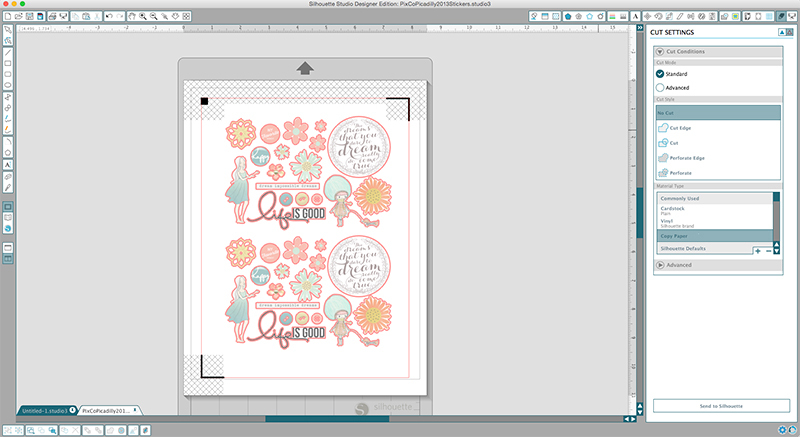 Once you have your sheet printed put it on your Silhouette cutting mat and insert it into your machine. 9. 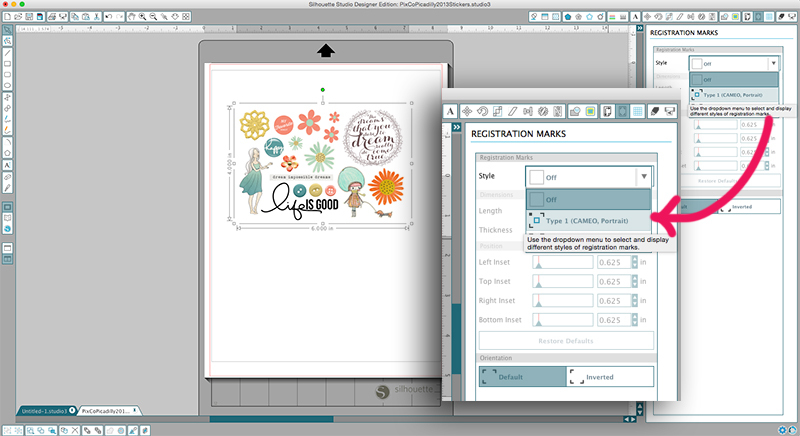 Select the cut icon on your Silhouette software screen and make sure “No Cut” and “Copy Paper” are selected. Click “Send to Silhouette.” See below for a larger view of what to select. 10. 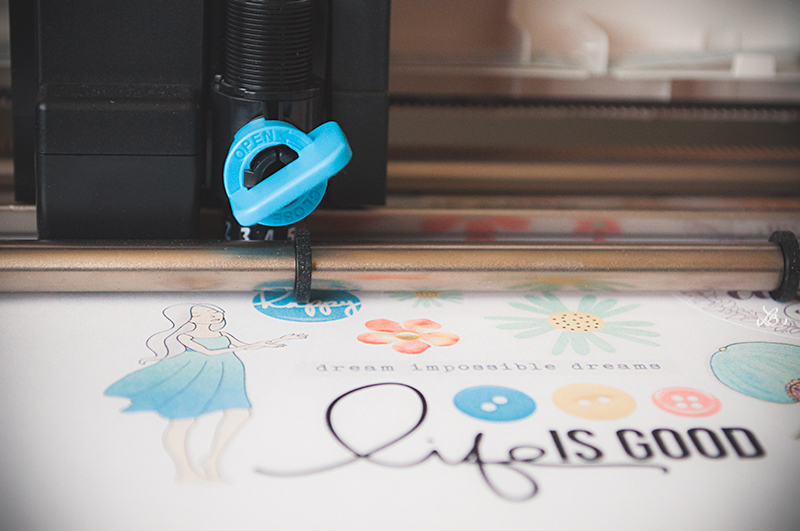 You know it’s printing when status says, “Cutting,” plus, your machine will start to cut. It doesn’t take very long before your stickers are made. 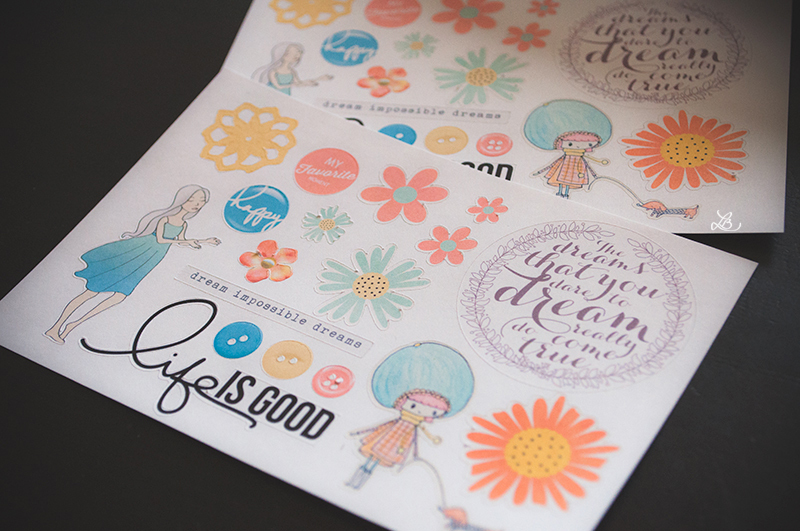 Cut them out and you’ve got your very own homemade stickers! Here are some photos of the silhouette at work + finished product. 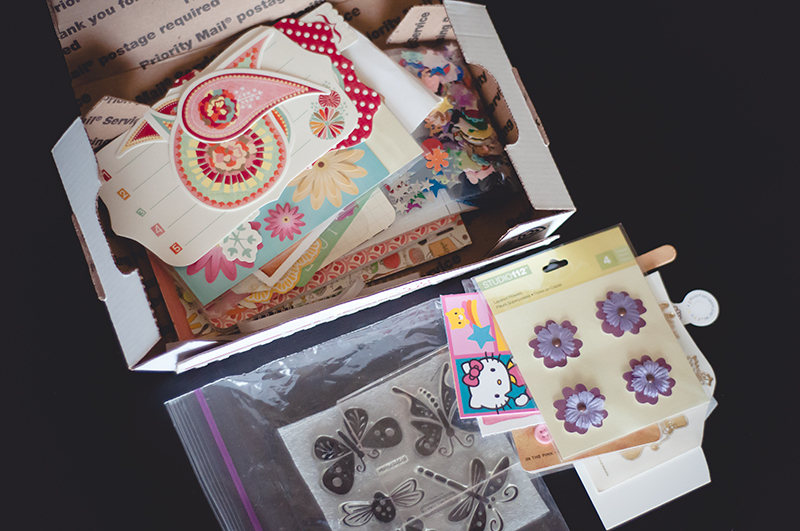 Last week I purchased two Project Life kits from Micheal’s. 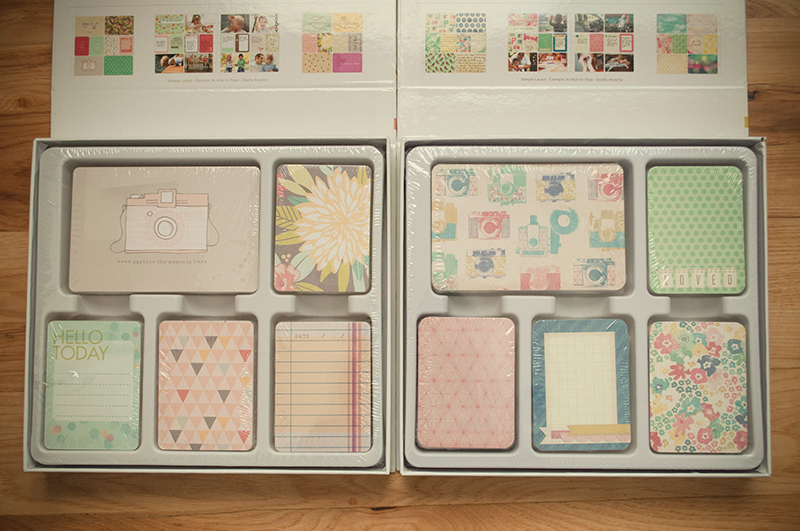 I’m planning on using them for my girls’ individual binders. 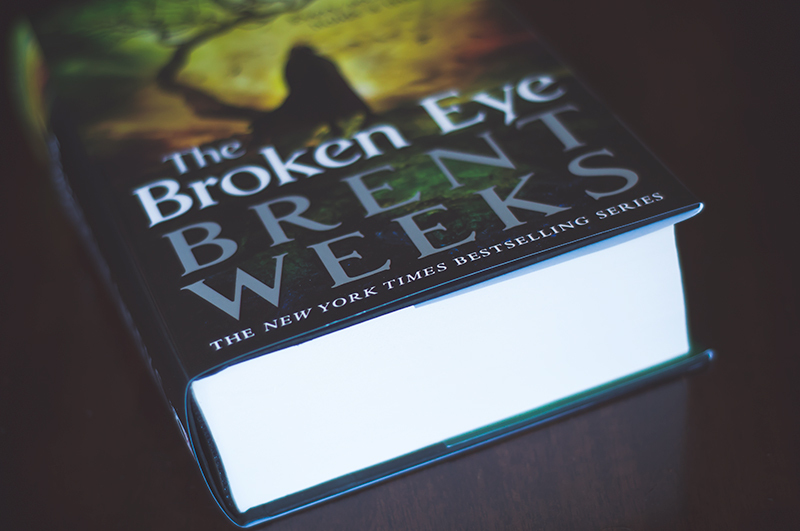 The left one is the 5th and Frolic Edition and the right one is the Maggie Holmes Edition. I have a total of 4 Project Life Editions now: Amber Edition, Heritage Edition, and the two above. I never thought I’d get this deep into it but there’s no turning back. 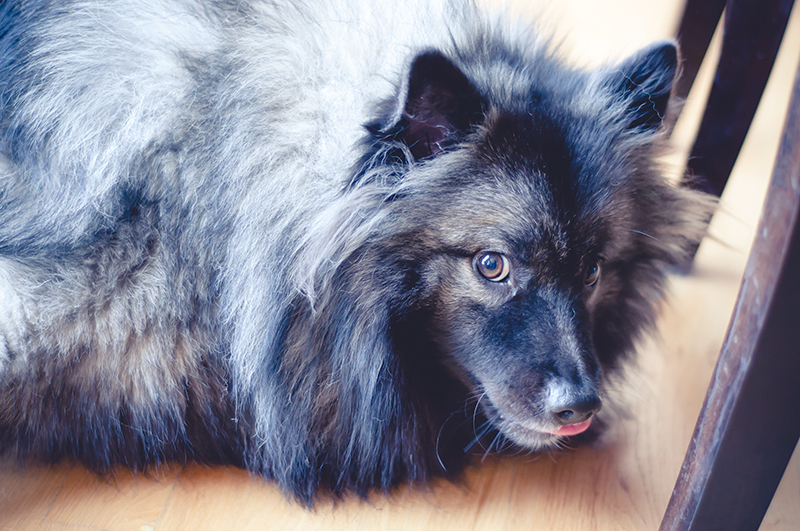 Photos will have no choice but be documented…muahaha!